Should I upgrade to Windows 8.1? The public release of Windows 8.1 code-named Windows Blue is around the corner (The expected release date in 17th October). This is a much anticipated release, as it is said to bring many radical changes in Windows 8. So many of us are contemplating to upgrade to Windows 8.1 as soon as possible. Those lucky few with access to MSDN and Technet has already got the privilege to test it out. Starting 17th October, Windows 8.1 will be available via Windows update for all existing users and those who want to upgrade, they can do so by going for a fresh installation of Windows 8.1, which will be available as a standalone product. Let’s see if this new Windows 8.1 hype is how justified and you can decide if you really need this update? When Windows 8 was released, the users were much surprised when they did not find the Start button, which Windows users were used to since Windows 95 days. So there was much condemnation to Microsoft as they released a Windows OS sans Start menu. Infact it is very difficult to work without a Start menu. So with Windows 8.1 everyone was expecting at least the Start menu and Microsoft disappoints again. What they did is just put the Start button which helps in navigating between Metro Interface and normal Desktop which was earlier present on the charm bar. So the only USP for Windows 8.1 for a general user is not met which is a major disappointment. 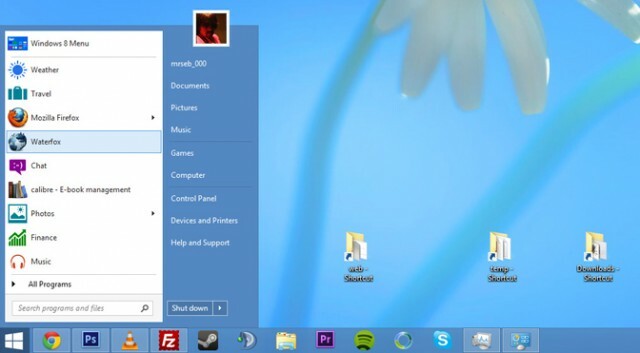 The Lock Screen in Windows 8 was used by users to display the photos of their loved one. So Microsoft though to take this a step further and convert the Static lock screen photo to a full featured slideshow. Now you can choose photos from your harddrive or from skydrive to display a slideshow on your lock screen. Now when you are on lock screen, you do not need to enter a password to open the camera or answer a Skype call. An indepth explanation of the Smart Search can be found at Win Supersite. 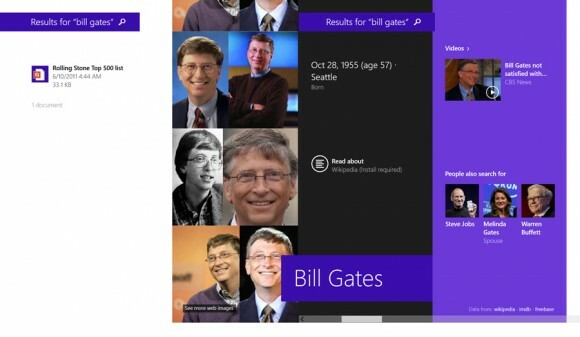 The snap-view or split-screen as we generally know was introduced with Windows 8 for better multitasking. But this had a major flaw in Windows 8 as the screens were being divided at 70/30 ratio, making the app occupying the smaller screen virtually unusable. Now with 8.1 the screens can be resized at 30/70, 40/60 or 50/50 and for bigger resolution even 3 apps can be opened and workd on simultaneously. One of the major enhancement in Windows 8.1 is the ability to boot to the desktop. So every time you start your PC you do not go through the Start Screen and click on Desktop tile to go to the classic desktop view. This is useful especially in corporate environment and for those who largely use desktop mode in their windows 8/Windows 8.1 device. 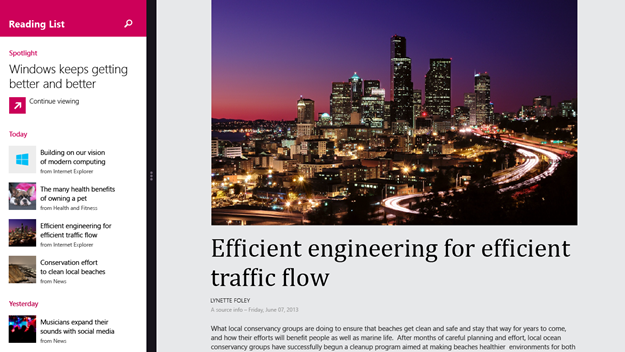 With reading list feature in Windows 8.1, you can save an article to read it later. You can use this feature to collect a repository of information or you can quickly save article to use on your research project. This is quite useful feature for those who consumes lot of information and web content. The updated version of IE in Windows 8.1 now supports unlimited tabs without hindering performance. So you can open 100s of tabs in one IE window and another 100s of it in a second IE window and you will not feel noticeable performance changes. Skydrive is installed by-default with Windows 8.1 and it looks like an integral part of Windows Explorer. With Windows 8.1 Microsoft has added Smart Files functionality. The Smart Files feature enables part of the files/folders to reside on the local storage and part on the skydrive there by leaving more space on local drive. 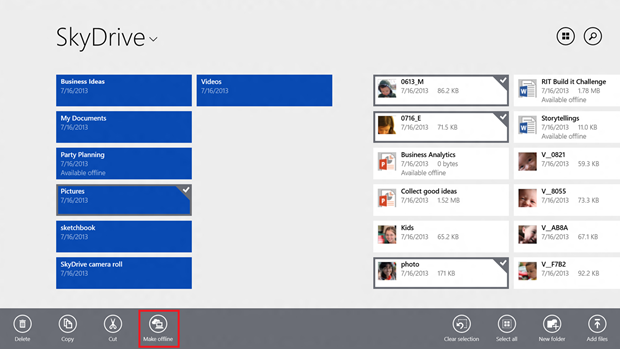 With the new Skydrive app, now you can mark several files to make those available offline too. The new features in windows 8.1 seems promising, though not a completely new operating system but the changes it incorporates are quite welcome. Things like Start button and 50% split of screen are like a boon to existing users of Windows 8. Moreover the changes in User Interface, Control Panel, Better Skydrive integration etc are desirable. However Microsoft could have brought back the most sought after feature Start Menu with Windows 8.1 and as it did not happen, it seems like Start menu is completely gone from Windows and we will not see it ever in any of the future version of Windows. All in all Windows 8.1 is a definite yes for the upgrade. Techie Zone is looking for Guest Blogger. You can write for us to get exposure and backlink. Read here for more info.